How to convert blu-ray to DVD with Xilisoft Blu Ray Converter? The trial version of Blu-ray to DVD Converter is fully functional for 30 days of its trial period. Click "Browse" button at the bottom of the window, and select a folder as "Destination" for saving the output files in the dialog box that opens. Select one or more files in the file list, click "Profile" drop-down button, and select an output format for the selected files in the drop-down list that opens. More info you can visit: Convert blu-ray to DVD. Included digital copies are still the exception rather than the norm in the Blu-ray world. Lame. You'd like to convert those discs for playback elsewhere, right? But there is something you should know first. 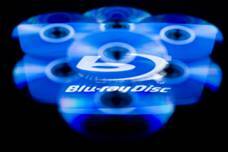 Blu-ray Disc (also known as Blu-ray or BD) is an optical disc storage medium designed to supersede the standard DVD format. Its main uses are for storing high-definition video, PlayStation 3 games, and other data, with up to 25 GB per single layered, and 50 GB per dual layered disc. The disc has the same physical dimensions as standard DVDs and CDs.